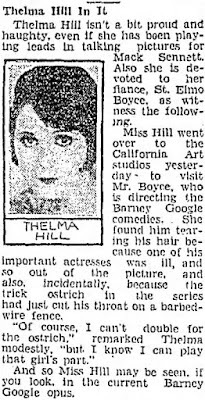 In 1927 Thelma began dating writer St. Elmo Boyce. He was born William Boyce on August 16, 1899 in Texas. St. Elmo worked as a theater manager in El Paso before moving to Hollywood. 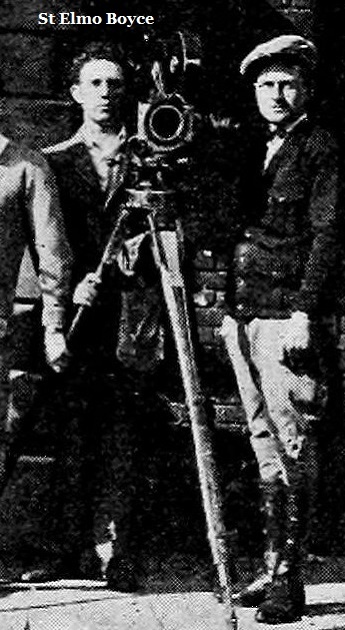 He was hired by Mack Sennett to be a scenario writer and cameraman. 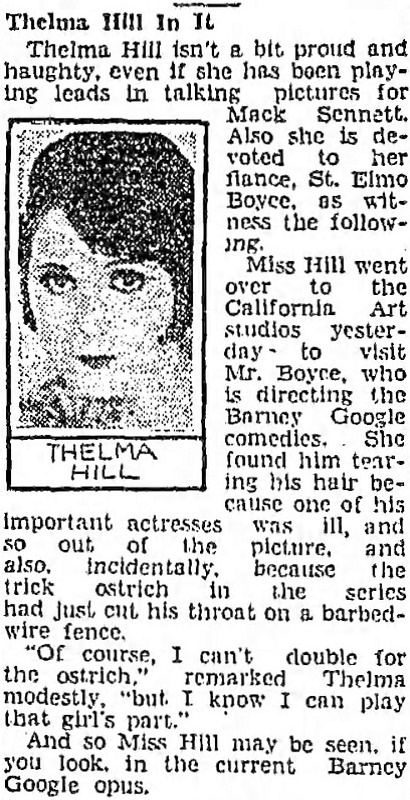 St. Elmo directed several of Thelma's movies including Casper's Week End. He and Thelma were engaged to be married but their relationship had problems. St. Elmo was an alcoholic and he was arrested several times for drunk driving. Thelma also developed a serious drinking problem. 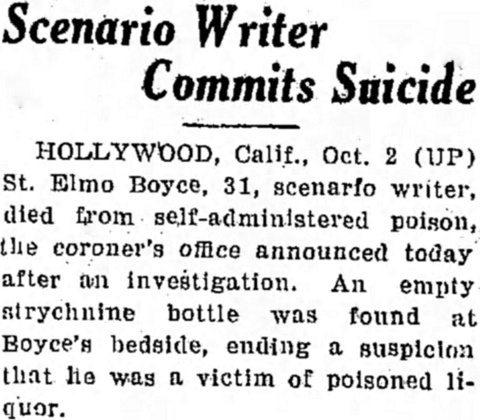 Tragically on September 30, 1930 St. Elmo committed suicide by swallowing poison. He was only thirty-one years old. Thelma was devastated by his death. 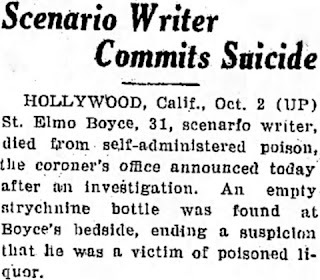 St. Elmo is buried at Forest Lawn in Glendale, California.